The barefaced hypocrisy is breathtaking. Good news on the economy this morning - for the second quarter running there is good signs of growth in the economy - 0.8% is positive stuff; that and the new jobs that have been created by the private sector are not talked up enough. Got home late Thursday night and then had a packed Friday - featuring a great session with A4E, in Newcastle exploring ways to get employment after New Deal: it is good that we are taking an innovative line to employment: the old system of New Deal was too inflexible, too rigid and there is good scope now for the future. Then back to Hexham for a meeting with The Hexham Partnership - which is full of new ideas under its Chairman, Bob Hull. "I ran into a seasoned Defence Analyst last night. He told me two completely shocking things. Firstly that when it comes to military procurement, Israel spends £9 billion a year and administers its purchases with 400 people. Britain spends £10 billion annually on procurement and has a staff of 23,700 to do it. The second thing my analyst told me was that for all significant procurement contracts no fewer that 66 different civil servants, generals, and the rest have to apply their signatures. Recently, he added, that number has gone up to 83." Frankly you cannot make this up! 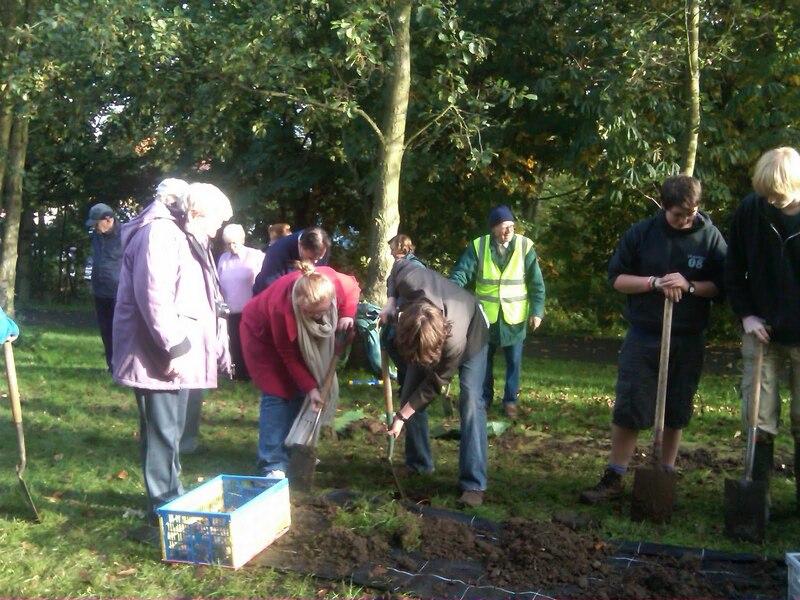 We started the morning at Ponteland Park - myself, Conservative Future and even the Conservative Mayor getting our hands dirty planting bulbs on behalf of Marie Curie. 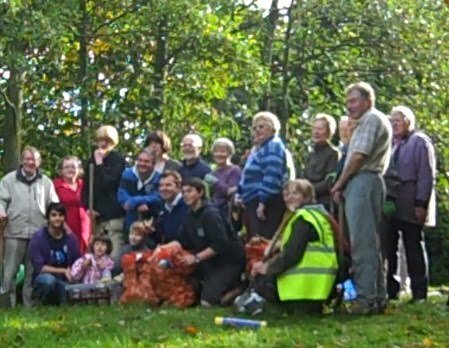 This kind of social action project is a great way to help the local community and remind everyone that politics isn't just about words but about everyone getting stuck in and making our communities a better place to live. With numerous bulbs planted it was then off with our team of volunteers to carry on our by-election campaign in Ponteland East supporting our fantastic local candidate Eileen Armstrong. I spent most of the day with my team in Stannington, Whalton and Ogle but also did the smaller farms and houses near Saltwick. A really good response on the doorstep for Eileen's positive local campaign. Home on the 7pm train Thursday night and then up and at them Friday morning to meet Nat West in Hexham as a follow up to several concerns regaridng bank lending from constituents and local businesses. We spent the morning together discussing how to get their personal and business lending moving and the help they are offering to local businesses. 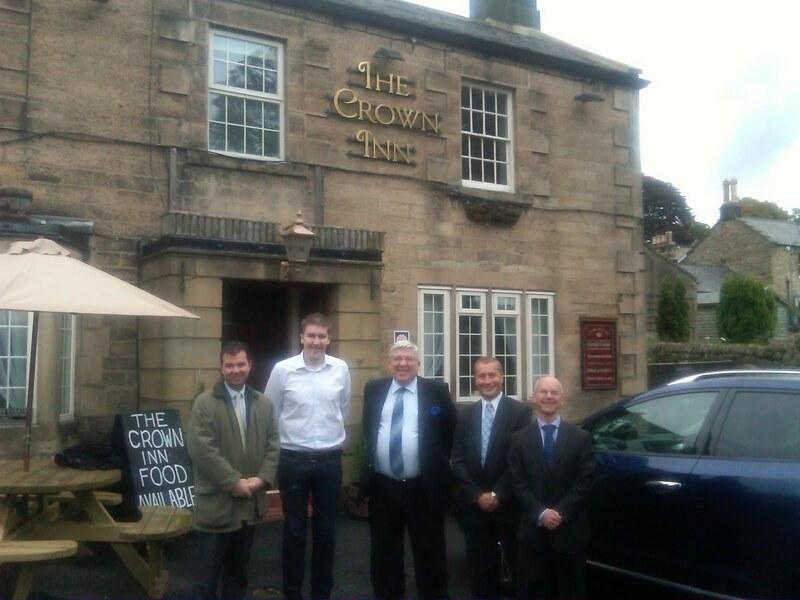 IT was also interesting as we took the opportunity to meet two of thier business clients - including the team at the Crown in Humshaugh, who are doing great work turning the pub into a success story. Then off for a surgery session in the afternoon from 3 till 7. A packed week that featured a meeting with Anchor Housing chief exec concerning Blackett Court, in Wylam, a good meeting with Northern Rock Foundation and a key day on wednesday that saw contributions to 3 different debates in the House of Commons, most notably over the local Wind Farm Debate. 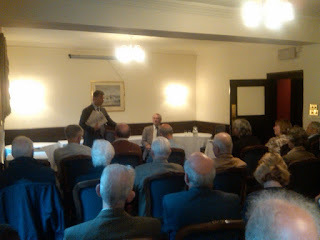 Also went to the Equitable Life meeting on Thursday at 3.30. The Citizens Advice Bureau is a fantastic organisation. They provide free, confidential advice on a whole range of matters from debt and benefits to housing and legal matters. As an MP our paths have crossed a few times through casework, and the local CAB is backing our campaign to Save Hexham Court. With more than 400 advice centres across the UK the work they do affects so many people. Indeed according to their own figures they helped a staggering 1.9 million people to solve 6 million problems last year. Continuing our thread of Big Society projects the CAB is a brilliant example of people already going above and beyond for others. The CAB is home to 21,000 volunteers all making a positive difference to peoples lives. On Monday I had the privilege of visiting my local CAB in Hexham which covers West Northumberland and meet the volunteers who make it all happen. It was a good chance just to say a big thank you for all the fantastic work they do. Packed latter part of the week after the return from conference. Had a big surgery on Thursday - which started with a visit to County Hall and a visit to Daljit Lally. Then a packed surgery resolving all manner of problems. On Friday I had a meeting with the local members of Equitable Life. At its peak it once had over one and a half million policyholders with funds worth around £26 billion under it's management. However its huge liabilities and a failure of regulation led to massive losses and the business being closed to new business in 2000. Many elderly people or nearing retirement lost out on their pensions; often in the tens of thousands of pounds, and sometimes running towards the hundreds of thousands. It has dragged on for many years without resolution. But we have to try and sort it out: I have corresponded with them and then today hired the Beaumont Hotel to meet with policy holders from EMAG. I decided to hold an old fashioned public meeting to really get to grips with the issue and hear peoples concerns first hand. I invited Chris Harlow along from EMAG, and together we all had a strong debate about what the future for policyholders was for 1 and 1/2 hours and what we could do going forward. I am going to the metting on Thursday 14th in the House of Commons. Regular readers of the blog may remember last month I mentioned I was launching my 'BIG Big Society Tour' - I'm hoping to use it to visit the places and projects where the Big Society is already taking shape, meet the people behind the ideas and find out how we can build on those ideas. The first stop on my tour was to meet Amanda and Val at the Pebbles Gallery in the heart of the Northumberland countryside in Allendale. The Gallery is run by the Allendale Creative Artists Community Interest Company. The Gallery is currently home to 17 local businesses, each with their own space in the gallery selling anything they like, from Val's handmade handbags, to portraits and sculpture. The artists work almost as a cooperative, their 'rent' is covered by staffing the gallery for two days per week. However the gallery is more than a rather unique and successful business model. It has also become a real community hub, attracting both visitors and local residents to their cafe and open days. Small food businesses rent the kitchen facilities and members of the Gallery on their voluntary rota days receive free refreshments throughout the day. The cafe also plays an important role in supporting local sustainability by buying local produce. The whole company runs on a small income coming from the gallery. With some small seed funds for development, the Gallery and the Youth Project they provide free, have received no funding for salaries and project management and the Directors give their time and expertise freely. Here we have a project in Allendale, a fairly isolated rural community in my constituency which has embraced the ideals of the Big Society and through this fantastic project is continuing to be a strong and vibrant community. So successful has the project been that the next step of their project is the quite amazing new Allendale Art & Media Visitors Center. The new building in the heart of the village, backed by the local community, will be a new home for art, small businesses, and youth projects in a stunning environment.